The All Saints mirror is inspired by Kartell’s best-selling Bourgie lamp, its round pleated frame paying a nod to the traditional while casting contemporary shadows and reflections. Designed by Ludovica and Roberta Palomba, this opulent and innovative design features a distinctive texture along its border available in a range of tones. Moulded from a single sheet of durable polycarbonate, the All Saints textured frame has a faultless finish that creates distinctive reflections when it catches the light. 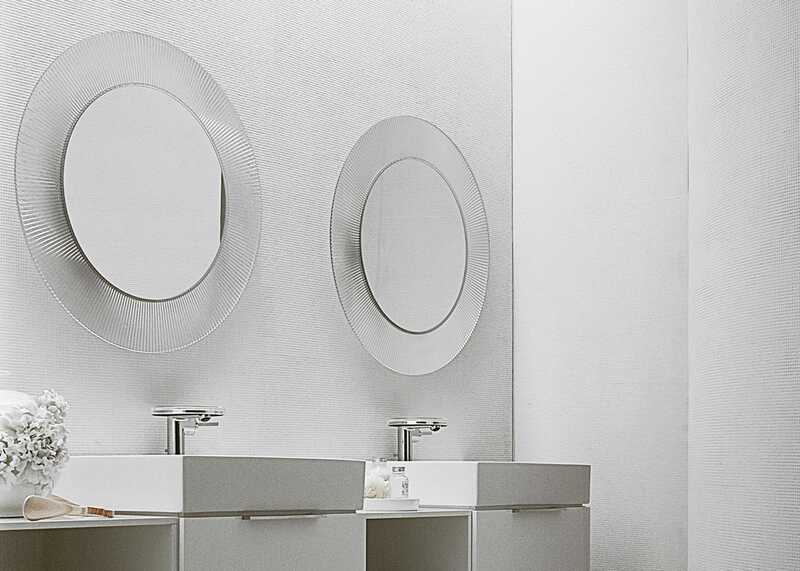 Thanks to this contemporary construction, this round mirror is available in a variety of tones including transparent tangerine, transparent amber, metallic chrome, transparent crystal and metallic gold. A simple wall mount on the reverse allows for an effortless hang. Beautiful design. Looks great in our lounge.